This 2100 sq. 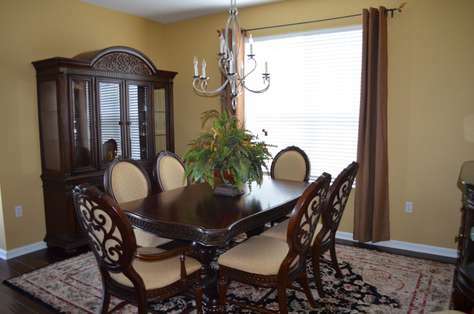 ft. beautifully decorated 3-bedroom, 2-bath condo offers all the comforts of home in a luxurious setting. This is the ideal place for a vacation. 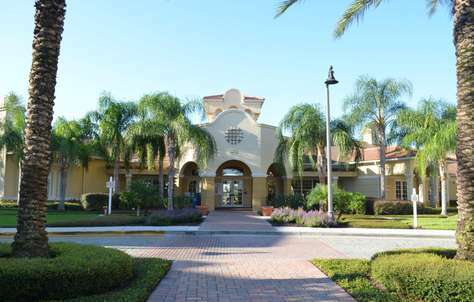 Whether attending the attraction parks or a convention, there is no place like Vista Cay! This property appears just as shown online. 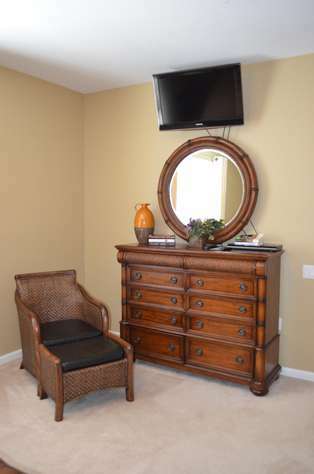 There was a lot of care and consideration given to make sure our stay was accommodating and relaxing for my family. It was very spacious and quiet. I loved it! Thank you! The unit was very nice and very clean and modern. The starter kit was great, it came with a lot of the things we needed for the week. The unit was great. It was spacious, comfortable, and very clean. Also very convenient to theme parks, shopping, and restaurants. The management company communicated very well and even provided a gift basket on arrival. I would stay there again in a heartbeat. My family stayed in this unit for 6 days and it was wonderful!! From the welcome basket to all the extras, our stay was great! The pictures do not do this unit justice. 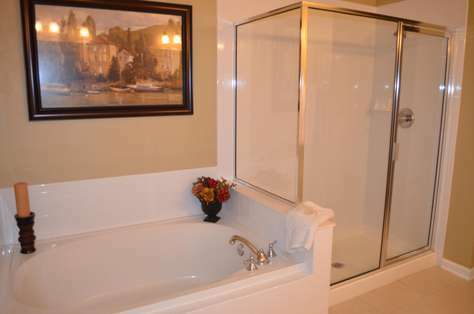 The master bathroom was huge and all the sleeping arrangements were plenty for our family of 6. My husband and I had a fantastic Orlando vacation with our daughter, son-in-law and 2 grandsons! This property was very spacious for our group of 6. Very well kept and plenty of room for everyone. The kitchen was spacious for our stay-in meals. There were lots of bath and pool towels, pool toys, games for the kids and lots of books. (We were too on the go for reading!) The weather was warm and sunny and we spent plenty of time in Vista Cay's beautiful pool. 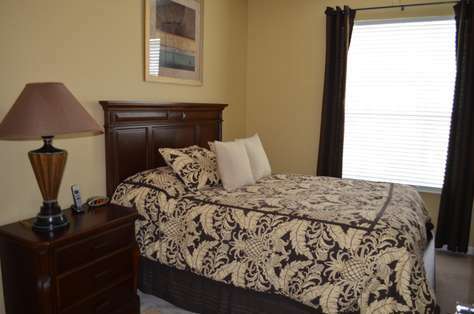 We would highly recommend this property and would choose it again on our next trip to Orlando. My family and I stayed at this condo over the Christmas holidays...it was extremely nice from the convenient location, which is close to Universal Studios, to the "Welcome Basket" with special goodies in it, to the bath salts for the large tub in the master BR, to the spaciousness of the condo, to the pool and clubhouse, to the other guests staying at Vista Cay Resort. Everything was VERY CLEAN everywhere, in or outside the condo, which was important to us. We had the pleasure of staying in this lovely condo for our March Break holiday. 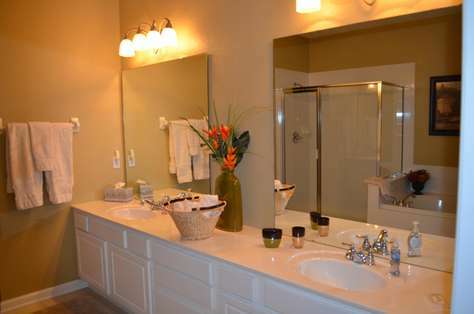 We were impressed with the nice decor of the condo and how clean it was. We had plenty of room for our family of four, which included a 2 year old and 5 year old. Having a separate room with a full size crib for our 2 year old was very appreciated and my 5 year loved his queen size bed 🙂 The staff at ITZ Properties are wonderful to deal with and will respond to your questions promptly. We had no issues during our stay. 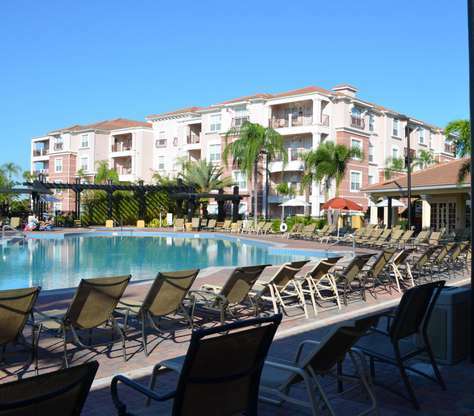 The location is ideal with less than a ten minute drive to Universal Studios, Aquatica water park and the mall. There were two shopping outlets that were also close by. The plaza next to Vista Cay has a grocery store and pizza restaurant. There is also a Walgreens close by. We will definitely return again for another holiday. We arrived at the condo after a long delayed day of travel with a 1 year old... and this place was a sigh of relief! The condo was easy to find. We also loved that there was no checking in. (It was nice to not sit waiting at a desk after a long day! ) The condo was as pictured if not better. It was very clean and we had everything we could possibly need for our stay... Along with a little gift basket and some drinks in the fridge which were a nice touch. The management company was so easy to work with. Very professional, attentive and responsive. There was more than enough room and it was very comfortable. I would highly recommend this place. We travel to Florida 5 or 6 times a year and have stayed many places and this by far is our favorite. We will be back! 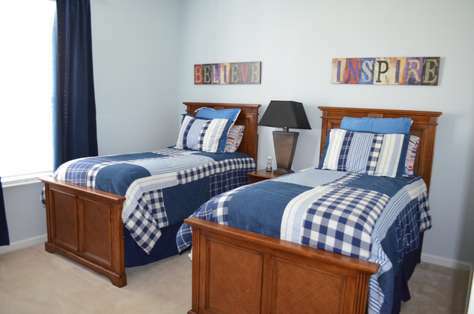 This condo is beautifully kept, and was perfect for our two little boys and two couples. The management company was wonderful to deal with and made our stay even more perfect. I would absolutely recommend this property to anyone! We just returned from our stay at this vacation home and it was wonderful! The condo was gorgeous and was everything I expected from viewing the photos. 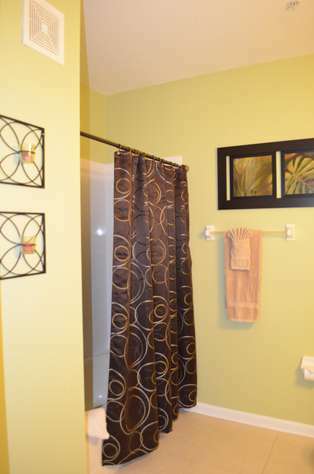 It was very clean and well kept, I didn't feel I needed to do any extra cleaning before I could feel comfortable. The resort was very easy to find as far as the directions were concerned and the location was perfect, right in the middle of everything...restaurants, theme parks, and stores. There was one minor issue during our stay and after notifying the owner and on-call personnel via message, I thought it was very courteous and polite of the owner to call back and address the issue. I would definitely stay here again and recommend this property to family and friends. 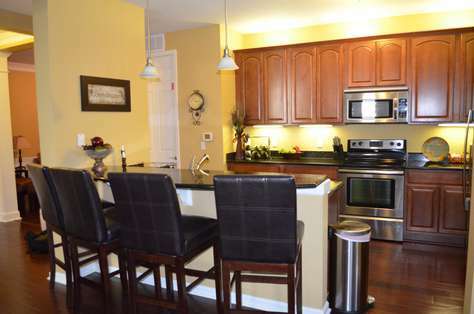 First let me say that this condo was absolutely perfect! 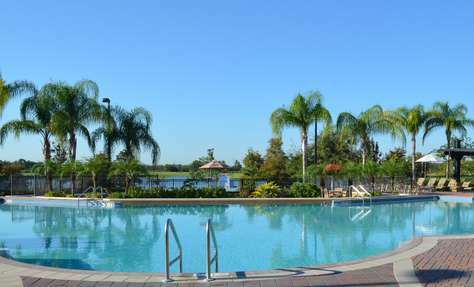 It was very nicely appointed with every amenity to make our week in Orlando as convenient and relaxing as possible. We were so very happy with our decision. Our family came to Vista Cay along with several other families, each of which reserved a condo in Vista Cay through different rental companies. Our condo was easily the nicest out of those reserved by the other families in our group and the reservation process as well as communications with Itz Properties were simple and flawless. 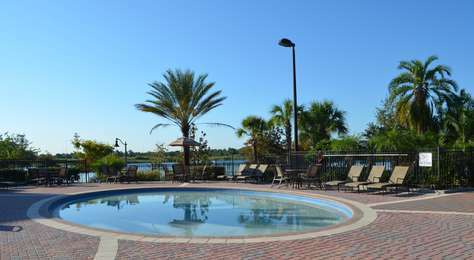 We highly recommend this unit and plan to stay here for any future trip we make Orlando. I have a small company exhibiting at Orlando's convention center. Rather than ponying up for multiple mediocre hotel rooms, I found this place at a fraction of the price. It slept 5 easy, and felt much more high end with the nice decor. With a grocery store around the corner, pool and clubhouse on site, we had everything we needed to unwind after each night of the trade show without being corralled through the typical chain restaurants and entertainment venues typical of trade show areas. We even hosted clients for a nice dinner in the condo and poolside foosball and drinks afterward. We will be here again for sure. We thoroughly enjoyed our stay in this condo. This was our second year of staying at Vista Cay and we loved it. 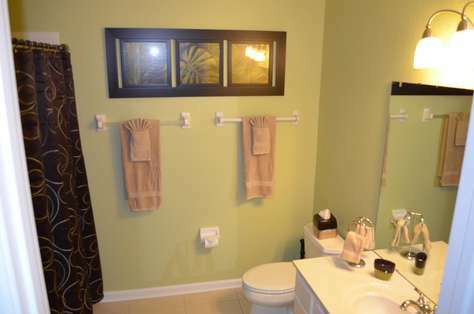 It is a perfect location and so convenient to Universal Studios. We stayed in a beautiful condo last year, but we all agreed we liked this one even better. The decor is beautiful and it just felt warm and homey. Our grandsons loved the game room! We played Wii for hours and hours (even though they have one at home...it's different on vacation). 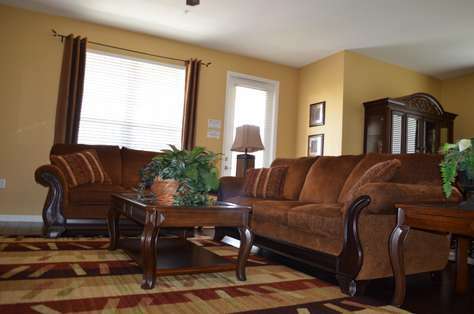 The condo easily accommodated our three generations -- four adults and two children. We loved having enough room to dine together at the table. The rental process was easy and efficient. I really appreciated not having to check in upon arrival. We just went straight to the condo and then to the pool. You can't waste a single minute of a perfect vacation! The gift basket was a perfect and welcoming touch. The special touches made a big difference in the overall experience. We've created some special memories on our Orlando vacations. 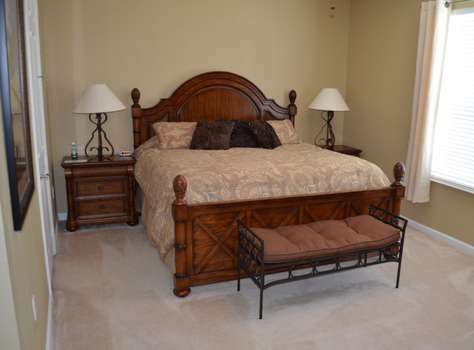 I am pretty picky about where I stay and I certainly recommend this condo. You won't be disappointed. I stayed 8 days with my son, his wife, and two grandkids. We came to Central Florida for a week-long vacation from out of town. Our stay at Vista Cay in this condo was perfect in every way. The advertising information on line was complete and accurate and up to date. 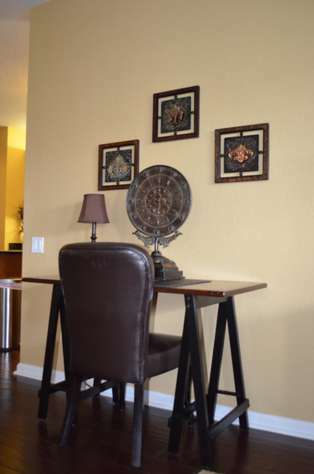 The agent was fast and responsive in answering questions and helping us book the condo. The location was super-convenient for our visits to Universal Studios and the Kennedy Space Center and a day-long vist to relatives in Clearwater. 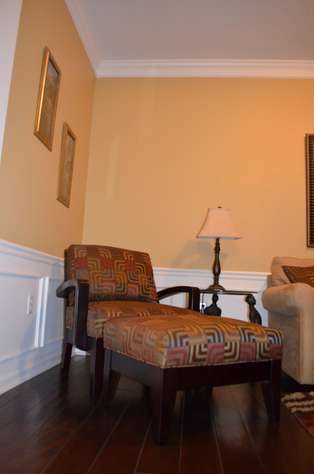 The condo itself was clean and well-maintained--absolutely no problems at all. The accommodations were spacious and comfortable. The kitchen was well-stocked with all we needed to prepare our meals. The living area was comfortable and stocked with games and books and reliable TV and internet connections. The pool and clubhouse area was convenient, clean and easy to access. We were within a couple of miles of all the restaurants and stores and attractions we could want. Kennedy Space Center was a highlight because my son and I are fanatics about the US space program. Don;t miss it. The grandkids loved Universal. When we had a medical emergency, we had quick access the nearby ER at the Dr P Phillips Hospital, which was excellent in every way. When we had to ask for an extension of two more nights in the condo, the agent was quickly responsive and concerned and followed up well. This was a wonderful first-time experience for me in renting a condo for a week, and my son and his family were absolutely delighted with our stay. I have already told relatives. My sister is an experienced world-wide traveler and she was mighty impressed with the price for the value. I can strongly recommend this property. It was perfect for us in every way!